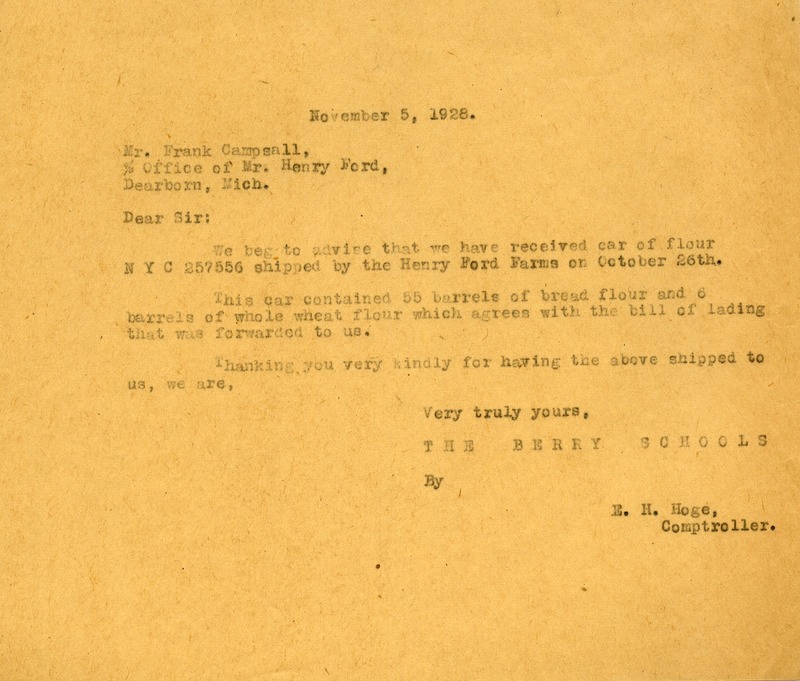 E. H. Hoge, the Comptroller of the Berry Schools, writes to Frank Campsall to inform him that the flour sent by the Henry Ford Farms has arrived. Mr. Frank Campsall, “Letter from E. H. Hoge to Frank Campsall.” Martha Berry Digital Archive. Eds. Schlitz, Stephanie A., Christy Snider, et al. Mount Berry: Berry College, 2012. accessed April 20, 2019, https://mbda.berry.edu/items/show/7516.